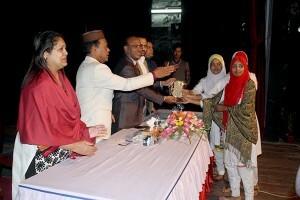 “More than 60 thousand students are serving by the educational institutes of Chittagong City Corporation. 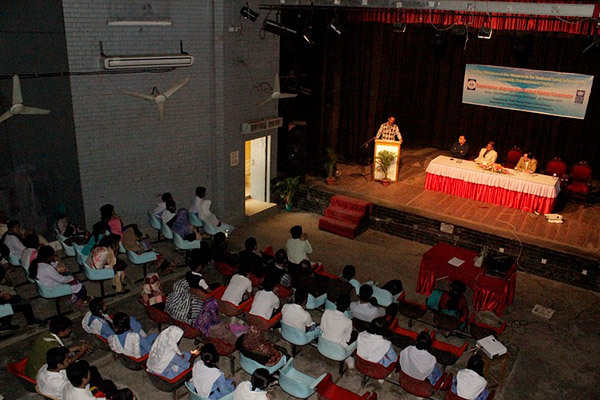 Among them, YPSA selected 10 institutions from Chittagong District for the program. We expect YPSA will conduct the program among all the institutions to grow the student up as an active and responsible citizen” said Mr. Kazi Moammad Shafiul Alam, the Chief Executive Officer (Joint secretary of Bangladesh Govt.) of Chittagong City Corporation while he was present as chief guest in an Experience sharing and award giving ceremony organized by YPSA. 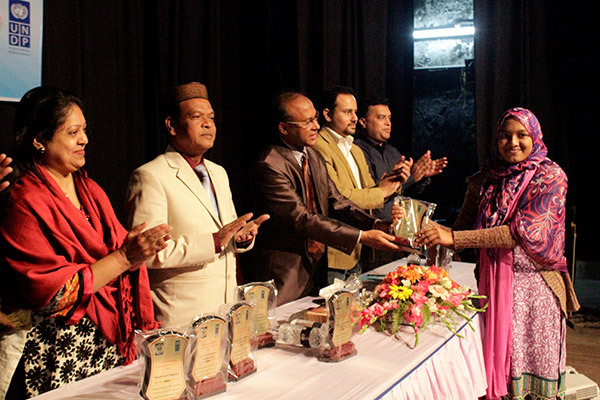 With the support of UNDP, YPSA awarded 10 educational institutions and 10 best groups of social action plan under “Creating evidence at the grassroots for national level advocacy on leadership development project” on 22nd December, 2015 at Shilpokola Academy, Chittagong with presence of 140 Students, Teachers from Soraipara City Corporation School, Soraipara City Corporation Degree College, Hazi Abdul Ali City Corporation School, Kattali City Corporation Girls High School and College, Sitakund University College, Sitakund Girls High School, Sitakund Kamil Madarsa and Chief Executive Officer , Chief Education Officer, Panel Mayor from Chittagong City Corporation and YPSA Officials. The program facilitated by Mr. Mohammad Shahjahan, Team leader of YPSA and started with documentary show on the student social action plan implementation among the selected intuitions compound and locality. On behalf of 83 Student groups, Fahima Ali from Soraipara City Corporation Degree College, Marium Akter from Firoz sha City Corporation Girls School, Tanvirul Islam from Sitakund Kamil Madrasa, Shahinur from Sitakund University College have shared their experiences on their orientation, planning on Social Action Plan implementation. Md. Arifur Rahman, Chief Executive of YPSA presided over the program while Mr. Kazi Moammad Shafiul Alam, Chief Executive Officer (Joint secretary of Bangladesh Govt.) 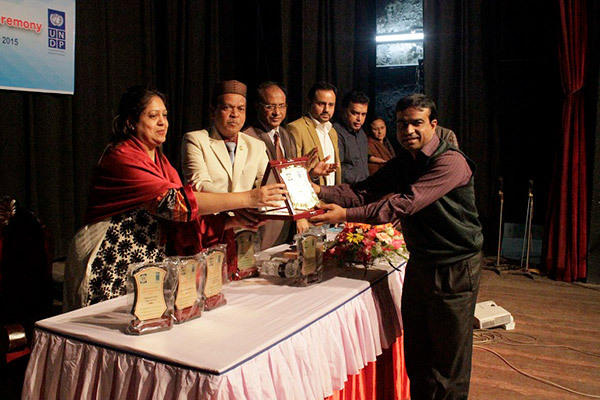 of Chittagong City Corporation was present as chief guest, Prof. Md Shahidullah, Chief Education Officer of Chittagong City Corporation as special guest. 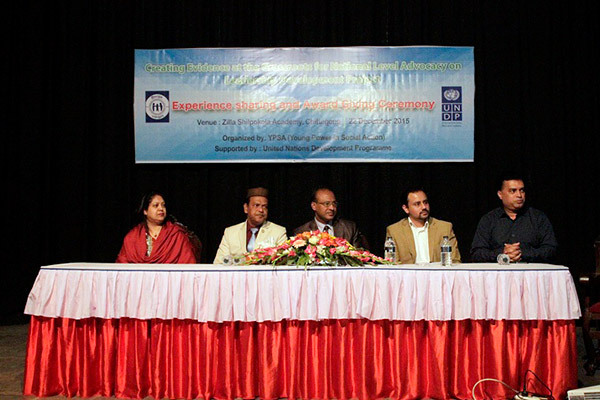 Mr. Chowdhury Hasan Mahmud Hasni, Panel Mayor and Counselor of ward no 20 of Chittagong City Corporation, Mr. Siamul Hoque Robbani, national Program Officer of UNDP, Ms. Taslima Islam, the Program Manager delivered their speech in the program . Among the teachers representative, Mr. Abdul Halim, assistant teacher of Soraipara City Corporation High School, Mr. Shahedul Kabir, lecturer of Soraipara City Corporation Degree College, Mr. Alom Hossain, assistant teacher of Hazi Abdul Ali School and Mr. Abul Masur, senior teacher of Sitakund Kamil Madrasa shared their experiences on the program. At the end program Md. Arifur Rahman, Chief Executive of YPSA thanked all the institution, teachers, student, Chittagong City Corporation for the active participation during the journey and expect all the institution’s cooperation in future.